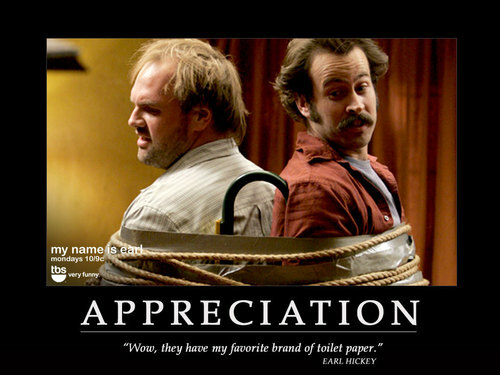 Appreciation. . HD Wallpaper and background images in the My Name is Earl club tagged: my name is earl season 1 2005 earl hickey randy hickey fan art banners motivational posters. This My Name is Earl fan art contains portrait, headshot, and closeup. There might also be sign, poster, text, and chalkboard.